When I heard the premise for Bram Stokers Summer Sublet, I was intrigued. A modern twist on Bram Stokers Dracula. I found the book to be a delightful palate cleanser between dark thrillers which are my regular genre. It’s a creative, light read that is fun. After her fiancé cheats on her, Willie agrees to pet sit in her friend’s apartment for the summer in New York City. She spends the summer taking care of a talkative bird and a thirteen year old dog while working through her break up. During her time in her sublet, she focuses in on her mysterious neighbor who she believes to be a vampire. She feels it is her mission to rid the city of this vampire. What happens now? You’ll have to read it for yourself! I won’t ruin the story for you by telling you everything that happens before you read it for yourself. The names are all familiar, the story a twist on the vampire story. It’s not what you would expect. Willie works out her break up issues and the book ends well. Not living in a city myself, I found myself envious of the convenience and character of the urban experience Willie enjoyed. It made me want to find a similar gig. This is what I love about books; they can broaden your world and add experiences to your bucket list. Somehow I think the sublet is attainable, the vampire, well maybe not. I mean, there’s no such thing as vampires, right? Do not let the low price of the book phase you, it is worth paying more. It has been priced to attract more readers. This is a case where you can’t judge the worth of the book by its price. There will be other books that twist the traditional story and I look forward to reading those as well. 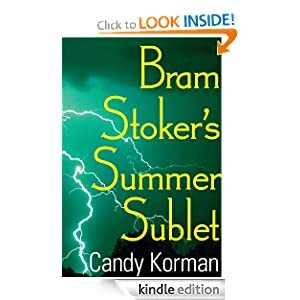 Bram Stoker’s Summer Sublet is worth the time to read. It’s thoroughly enjoyable. I downloaded this book for free because I want to go to Sedona someday. I didn’t remember the plot from the time I downloaded it to the time I actually started to read it, so I had no expectations. What I ended up with was a pleasant surprise. This was a great book and I had a good time reading it. What I didn’t know about the author was she likes to write stories about strong women over the age of forty. Now that I can certainly relate to. Don’t get me wrong, I love all the stories with heroines aged teenager to thirty-something. It’s just nice for a change of pace to have her be my age. Georgia recently buried her philandering husband. She didn’t know he was philandering till he died. Double shot of shock. She goes to the grocery store for milk in said husband’s Cadillac Fleetwood and she ends up on a road trip to Sedona. Arizona. Once in Sedona, she meets Trish, Zoe and Doc, all of whom play important roles in her transformation from lost soul to fulfilled, self-aware woman. The story is about acceptance, forgiveness, the importance of friendships and relationships, personal growth, humor, dreams, life’s curve balls and family. Georgia’s journey, and that of her friends is ultimately triumphant and it’s highly entertaining. Time slipped away, and I was immersed in the setting and the characters. I was upset when the book ended because I wanted it to continue, I was having such a good time. I got the book for free, but the Kindle price is very reasonable, and the book is so good I would say it’s ok to pay the publishers price for the paperback. It’s just a great read worth the time and money. The author is working on her new novel, and has another out that I won’t be reading because it doesn’t interest me. I feel like I’ve discovered a treasure. 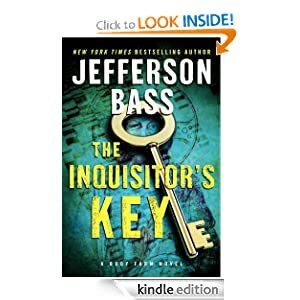 The Inquisitor’s Key is the latest installment of the Body Farm series by the writing team ofJefferson Bass. I downloaded the book for free several months ago and I would say spend the money on this one (and I’m banking the other books in the series are good too). I plan on buying the others. Set in the primary location of Avignon France, the book features the beauty of the medieval city, it’s history which can be quite dark, it’s artwork which is glorious and a modern day mystery. There are real-life characters throughout the book, but I won’t tell you who they are. I found it fun to find out in the end of the book. Dr Brockton heads up Tennessee’s body farm. He has an assistant named Miranda who is in France on involved in a mystery that involves bones that could be Jesus Christ’s, the Shroud of Turin’s origins and possible explanation, and the history of Avignon in the medieval age. The book is interesting, well- paced (some readers didn’t like the history background. They found it dragged. ), and well researched. There’s a murder and a tangled web of intrigue surrounding the bones. I love stories set in France, and I love art history. I like history in general and being a lapsed Catholic, I find stories of the history of the church and its mysteries fascinating. And I love a good mystery. This book has all of this, so of course I loved it. I am excited now to read the rest of the series, and I’ll review them as I do. The books are written by the writing team of Dr. Bill Bass and Jon Jefferson known as Jefferson Bass. I would tell you it’s ok to start with this book if you want to, and like me go to the beginning novel afterwards. Or you can start at the beginning and wait for this treat. And yes, it’s worth the money. For the record, it has to be pretty damn good for me to part with $7.99 for the Kindle edition. I will gladly pay for these books in the future. When I first got my Kindle and was discovering all the new authors I could access so easily, I came across John Locke’s Donovan Creed series. The books are inexpensive, and he’s sold a million books in a four or five month period in 2010 or 2011, the dates escape me right now. That was quite an accomplishment in my estimation, and all those people belies a trend worth joining. I jumped in and bought the books. They are not Pulitzer contenders. They are entertaining, creative, amusing, and thoroughly enjoyable. I was hooked. The lead character Donovan Creed is an assassin working for the United States government and the mob. Right there I found this character intriguing. His exploits, relationships and conquests are quirky and as imaginative as he is. I love Locke’s imagination. I love the dialogue; it’s quick and sharp and fun. This whole series is fun. Isn’t that why we read mysteries and thrillers, for fun? Locke insures you will have a good time with his plots, twists and turns and fabulous cast of characters. Invest your money and your time in this series…you won’t be sorry. Books can be good reads without masterfully crafted prose. A good story can be told simply. A great story is told by a wordsmith, one whose prose is laden with descriptions and metaphors that challenge the reader to think more, to feel more, to be transported into the author’s imaginary world completely. The prose in a great story envelops you and draws you in and never lets you go, till the end where you exhaled, finally returning to your world. All For One is a great story. The author is a wordsmith. It was an intricate story of innocence lost, madness made real, justice sought, and reconciling a dark past with a dark present. I won’t go into the story except to give you the basic outline. The story is best left to unfurl as you read it, letting the plot twists and intricacies play out like the surprises they are meant to be. There’s a murder of a young boy who is a bully. It is presumed that his classmates did it, but which one? There’s a beloved teacher. There’s a retiring cop who is known as the Kidde Catcher who can elicit the truth from a child, no matter how dark and deep the truth is. There are secrets, there are voices real or imaginary and there are complications. The author can think as a child thinks, can portray a bully and the evil he is capable of, and he can convince you of madness, taking you down the path towards the truth of the past and the present. I got the book on my Kindle when it was offered for free on Amazon recently. I am now a fan of this author. I bought another of his titles, Confessions, in hopes that he crafts his words with the artistry he used in All For One. I’ll review it and let you know if the artistry is a one shot deal. I would say to you to read this one, and that it’s worth the time and money. When Low Country Bribe first came out a few months ago, I was skeptical about its subject; an agriculture agent getting a bribe and what ensues as a result. I mean, how compelling is the federal agriculture agency? I love it when I’m wrong! It was not only compelling, but riveting. The book is set in the low country of South Carolina, and features Carolina Slade who works as a loan processor for the agriculture department. She is bribed by a simple hog farmer who turns out to be something more than he appears. She meets Wade, a federal agent and the complications really start mounting up. There are murders, pay offs, politics, twists and turns. A well-crafted mystery. This book is a real page turner and I think the author is a very good story teller. The first book in a series, I find myself looking forward to the next installment which at the time of this review is at the publisher. I want to spend more time with the characters and see what happens next. I love books set in the South, I live there now (I consider Florida part of the South; some people disagree with that view. They are wrong!) and the country and culture fascinate me. 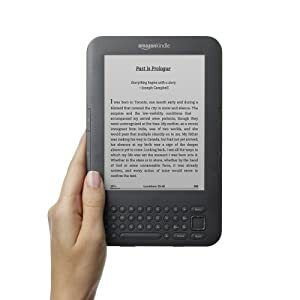 I downloaded the book to my Kindle for free when the author offered it for a day or two. It is a book worth buying and paying a publishers price. The old adage is true; things are not always what they appear to be. I have learned a lesson with this book, not to make assumptions. Definitely a book worth your time and money.